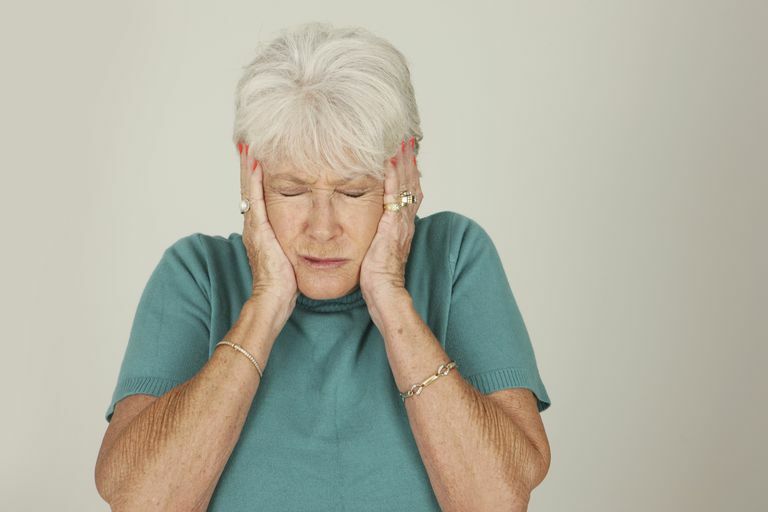 Many of the behavioral concerns that arise in Alzheimer's and other dementia have specific environmental or external causes—that is, these behaviors are triggered by the setting of the person, as opposed to something the person is experiencing, such as pain. In order to effectively address and reduce some of those challenging behaviors, we need to first consider what might be causing the person to behave that way. One way to approach this is to look at what's happening around, and outside of, the person with dementia. Evaluating the setting can help us determine if there are situations that may be triggering a behavioral reaction by someone whose memory, comprehension or orientation is limited. Are there too many choices, is it too noisy, or is more than one person speaking at the same time to your mother with Alzheimer’s? These are examples of situations that can be overwhelming for someone with dementia. She can’t process everything as well as she used to, so if the environment is too busy, this can trigger anxiety, frustration, anger or withdrawal. In response, move to a quieter spot to sit with her, turn down the music and take a break from talking for a little while. When asking her a question, present two simple choices instead of 10. This is a critical factor in the behavior of those with Alzheimer’s or other dementias. If the person receiving care feels rushed, patronized or unimportant, this can easily trigger frustration that shows up as resistance, combative behavior or verbal aggression. Focusing on how caregivers approach someone and interact with them is one of the most effective ways to manage and reduce challenging behaviors in dementia. If you're a family caregiver, there are often community classes available on this topic. As a nursing home or assisted living staff member, you should be receiving training on how to approach and interact with residents who are living with dementia. Additionally, providing consistent caregivers as much as possible who are familiar with the individual's preferences and personality can be very beneficial in reducing challenging behaviors in dementia. If your usual routine with your loved one is to rise mid-morning and eat a hot breakfast, getting up at 8 a.m. to rush off to an early doctor’s appointment might be difficult. Take this into consideration; when possible, keep consistency in the routine. Set appointments for later in the day, and arrange a daily schedule that adheres to the person's preferences. Using a person-centered approach, where the individual's preferences and needs are a priority, will benefit you both. When you need to change up the routine, anticipate a few extra bumps in the road. Changing someone's usual environment can trigger such behaviors as restlessness, aggression and agitation. For example, when your loved one is admitted into the hospital, provide extra reassurances through your presence and through verbal reminders like, "It's going to be okay; I'm here with you." You can also offer a comforting touch such as holding his hand (if this is something that usually calms the person) or an object that is reassuring to him, such as a favorite book. Everyone has a personal bubble of space they’re used to keeping as their own, and the size of those space bubbles vary. Individuals with Alzheimer’s or another dementia may have an increased sensitivity to someone coming into their space and respond by swatting a hand toward that person or yelling out for help. On the flip side, some people with dementia have a decreased awareness of others’ need for personal space and an increased need for affection. They may want to give a hug or hold a hand and not understand that others don't want this contact. When this opportunity isn't available, they may become withdrawn or aggressive about getting this attention, such as holding the hand of someone and not letting it go. Being aware of the personal space needs of people with dementia can help you anticipate and prevent some occurrences of challenging behavior. Sometimes, people with dementia unknowingly trigger uncooperative or aggressive behavior in others with dementia. For example, in a facility, someone who is confused may not realize that another person is also confused and become angry as to why she won't answer his question correctly. This can sometimes trigger a catastrophic reaction of anger or frustration. Watch the interactions of those around you and be prepared to intercept or distract someone who is becoming frustrated at an unsuccessful attempt at conversation. There are many things we can do to in the person's environment to decrease the likelihood of challenging behaviors in dementia care. These tactics can improve the safety and quality of life for those living with dementia, others around them, and their caregivers. Alzheimer’s Foundation of America. Behavioral Challenges: Potential Causes of Behavior Problems.